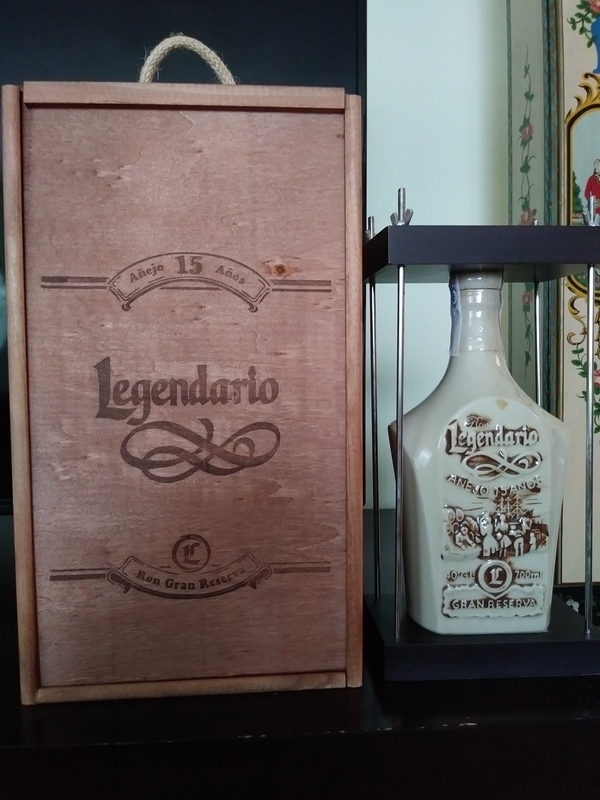 Have you found an online vendor selling Legendario Gran Reserva 15 Years? Very competent, very much approaching the Zacapa XO in the flavor, chocolate-like maybe, but not overly sweet at all. The Zacapa is a bit sweeter and of course a much better bargain. Flasken i sig selv gør jo, at man kun kan synes godt om denne rom. Den er meget velbalanceret og smager fantastisk mangler lige det sidste for at måle sig med Santiago 25. Meine Erwartungen waren groß, der Verpackungsaufwand den Legendario betreibt auch, damit die Porzelan Flasche heile zuhause ankommt. Leider ist dieser Rum überhaupt nicht mein Geschmack. Well over 800 aged dark rums enjoyed and Legendario Gran Reserva 15 year is easily on my top 5 rum after 15 years of rum tastings. It is sublime, super smooth, no burn at all and contains amazing flavors. It has the most complex flavor profile on this side of Black Tot. Impossible to find in the US, but I managed to taste the Legendario Gran Reserva 15 year in it's natural habitat in Havana Cuba earlier this year. And I have managed to find 1 bottle in Spain, which was an adventure of its own to bring it over to the U.S. Nose: Sweet molasses and sugar cane heaven. Palate: Easily the most complex of any aged dark rum on this side of the Black Tot. this is an absolutly smooth & fine Ron. a Little to expensive. Dette er den bedste rom jeg indtil videre har smagt. Bevares den er dyr, men så kommer den i trækasse, hvor den er boltet fast og flasken er da et kunststykke. Top top rom, smag den hvis du for chancen.